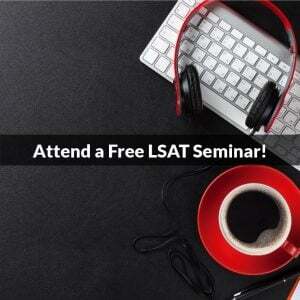 You are here: Home / LSAT Prep / How Do You Choose the Best LSAT Prep Option? How Do You Choose the Best LSAT Prep Option? With the release of February LSAT scores last Wednesday, we’ve reached what is traditionally the end of last year’s testing and application cycle, and the start of most people’s prep for admission in the fall of 2019. That isn’t to suggest that schools won’t take a summer test for a start later this year—a lot of great schools accept the June (and likely July) results for same-year admission—or that students looking to begin in 2020 or later shouldn’t start preparing now! But for the majority of future applicants the coming months mark the start of their LSAT journeys. In this post I’ll do my best to answer both of those questions. First, since I’m obviously pretty biased when it comes to courses and prep in general—although I’m not wrong; I work for PowerScore and write these articles because I know what I’m talking about: PowerScore is truly the industry leader when it comes to quality instruction and student results—I’ll avoid a blatant PowerScore pitch and instead take a different tack, providing broader, brand-free advice to help anyone make the most informed and beneficial decision possible. 1. 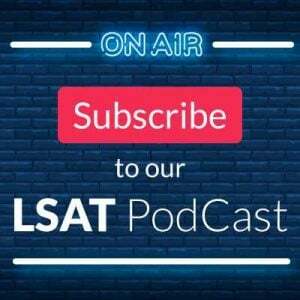 Take a real, timed LSAT and score it to receive a comprehensive performance analysis, so it’s clear where you are at the outset, what your strengths and weaknesses appear to be, and how far from your target score/school that initial result is. That also helps inform one of the most important decisions you’ll need to make: should you self-study (with books or an On Demand type course), enroll in a live class, or hire a private tutor, as someone with very narrow needs may benefit more from targeted prep via books or tutoring, whereas someone with more wide-ranging struggles or a larger gap between initial and desired score is likely a perfect fit for a more comprehensive course. 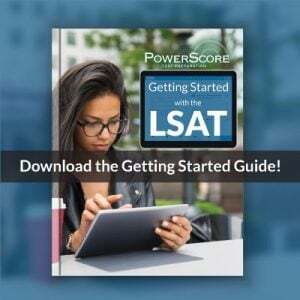 There’s a free LSAT online that you can download and take (particularly useful if you’ve never taken a timed LSAT and don’t have any tests of your own yet), and our Self-Study Site offers free test scoring and feedback for every test, so it’s a great place to get that early diagnostic data! 2. Research! Truth is, as much as I stand by our gold-medal perch on the podium, there are a lot of great prep options out there these days, and the majority of quality outfits offer previews of their content and courses so that you can quite literally try before you buy. So read up, shop around, and investigate the free content on offer before shelling out hundreds or even thousands of dollars on an unproven investment. Preview chapters of the LSAT Bibles (the best-selling LSAT books on the market). And that’s just a portion of what we make available, all for free! Don’t just go off of company-selected student reviews or website marketing text! Really investigate the content itself to see how well it speaks to you and how likely you are to benefit from further exposure to it. 3. No matter which prep option you choose, whether a full course or a single book or something in between, committing to a company means immersing yourself in its ecosystem and embracing its methodology and program, so it’s imperative to consider how you and others are treated as potential clients before you enroll. Simply put, the experience you have before making a purchase is an excellent predictor of how you’ll be handled once you’re a paying customer. So I strongly encourage you to give any company that’s caught your eye a call and speak to customer service staff, pull up a live chat online and interact with representatives, and above all reach out to some of their top people—those in charge of the actual content they create and sell and that your success depends on—and gauge their responsiveness and the help they offer you as a non-student. If they can’t, or won’t, help you in the early stages of your journey, what confidence should you have that you’ll be well cared for when test day is looming and it matters most? Once you’ve dedicated yourself to a prep route you want to be sure that the people guiding you will be there every step of the way, so that if you do encounter difficulty or confusion you know you’ll have helping-hands to get you through it. That’s the single best way to ensure that you’ll reach your goals on a test this tough! None of that is to suggest that it’s an easy or obvious decision, but hopefully keeping these things in mind early on will make the right path a little clearer. Let us know if there’s anything else we can do to help by leaving a comment below, reaching out via the contact information provided above, or calling/emailing our main office: 800-545-1750 and lsat@powerscore.com!